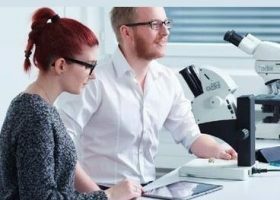 Stereo microscopes from Leica Microsystems provide high-contrast, modular solutions that combine high resolution with wide sample overview for convenient inspection and analysis. 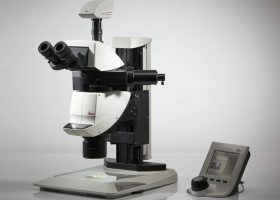 The high-end stereo microscopes are flexible solutions that can be manual, semi- or fully motorized solutions. Whether you need an entry-level solution or an advanced analysis and documentation package, Leica Microsystems provides ergonomically-designed manual stereo microscopes for routine tasks. 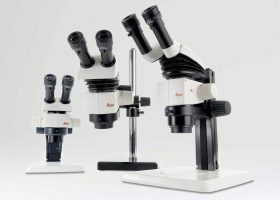 Leica Microsystems provides ergonomically-designed manual stereo microscopes for routine tasks. This modulare product range can be customized to your needs with ergonomic accessories, special bases and extensive illumination options. The Leica Z-Series Macroscopes are zoom systems with a single vertical beam path which provide 2D images and ensure parallax-free imaging. LED illumination from Leica Microsystems provides cool, natural color light for a various incident light applications. 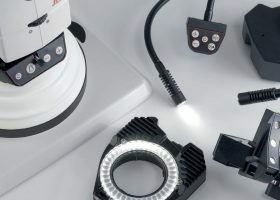 Whether you are looking for uniform, high-contrast, coaxial, highly diffuse, or nearly shadow-free illumination, Leica Microsystems provides a broad spectrum of LED illuminators for your application or task. 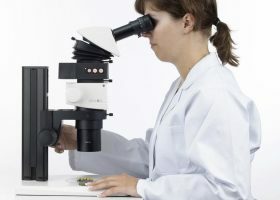 Ergonomic accessories help microscope users work in comfort even if they spend the entire day working with a microscope. These accessories allow adapting stereo microscopes individually – whether in laboratories, manufacturing areas or quality control. 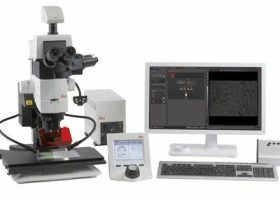 Stereo microscopes from Leica Microsystems are customizable and modular to meet your specific applications and tasks. Here are just some of the many stages, stands, and light bases available to enhance your imaging workflow. Microscopy courses are most enjoyable when both teachers and students can focus on their subject. Our educational microscopes help you to unlock your students’ full potential.